Sabah at home in the Bekaa Valley. 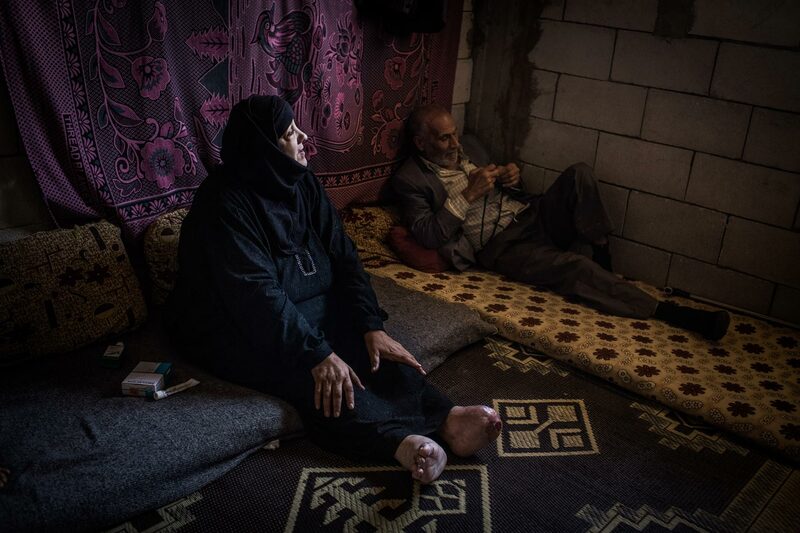 Sabah, who has diabetes, was home when a neighbor’s house was bombed. Several toes were amputated after a glass wound that has never healed: “I haven't walked in two years."